David works on the Magic community team as a content specialist. He spends his days writing about Magic Online and trying to play too many colors at once in Limited. Battle for Zendikar Prerelease Events come to Magic Online beginning Friday, October 9! Return to the wild plane of Zendikar, where the monstrous Eldrazi threaten the entire world with destruction. The plane’s inhabitants, and even the land itself, stand united to oppose them. Answer the call and join the battle for Zendikar! Starting Friday, October 9, at 10:00 a.m. Pacific (UTC-7), players can journey to Magic Online for Battle for Zendikar events! Take a stroll through the lush landscapes of Zendikar before they're devoured by a legion of tentacled titans in a Prerelease Swiss Draft. Participation in this event is one of the paths to obtaining the Kiora, Master of the Depths Avatar that's exclusive to Prerelease Events—the other route is through Prerelease Sealed events! Prerelease Sealed events come in Friendly Sealed and Competitive Sealed versions. Think of Friendly Sealed events as showing up to a tournament full of Allies, whereas Competitive Sealed are all Eldrazi—competition will be more fierce but the rewards will be worth it! Prepare yourself—we're doing Sealed Events a little different than we have the past few sets. We're simplifying event entry for Battle for Zendikar Prerelease Sealed events. The first difference is that there won't be any entry objects required to enter into a Magic Online Prerelease—just show up at the Limited Queues and enter from there with either Event Tickets or Play Points. Second, upon entering a Prerelease Event, players will receive six Battle for Zendikar booster packs and one Battle for Zendikar Prerelease premium rare or mythic, instead of the seeded boosters that we've offered in the past. Get your fill of Prerelease events and Bonus Packs while you can, because they won't be available any longer once Battle for Zendikar Release events begin on Monday, October 12 at 10:00 a.m. Pacific (UTC -7). Release Events begin at 10:00 a.m. Pacific (UTC-7) on Monday, October 12 and run through the Wednesday, October 28, downtime. For Draft fans, there's the Pack-per-Win Swiss Draft, the Fast-Build 8-4 Single Elimination Draft, and the 4-3-2-2 Single Elimination Draft—all available in the Limited Queues Room. As a heads up, the 8-4 Single Elimination Draft is set to be a fast-build event, meaning that players will have five minutes to build their decks once the last booster pack is passed. That means the 8-4 Draft and the Release 64-Player Single Elimination Event are both great options for players who are more familiar with Battle for Zendikar. If it's Sealed you're after, players can try out the Release Swiss Sealed event in the Limited Queues, or head over to the Scheduled Events room for the high-stakes Battle for Zendikar Release Swiss Sealed Event. 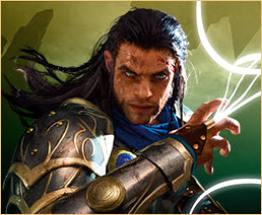 Participation in any Release event will get players a Gideon, Ally of Zendikar Avatar! Much like the denizens of Zendikar, Prerelease and Release events are being voraciously consumed and won't be around forever, so enjoy them while they're here on Magic Online! Product: 3 Battle for Zendikar booster packs. Duration: 10 minutes deck-building time. Three rounds, each round up to 50 minutes. 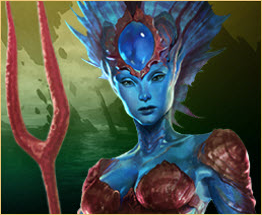 Participation Prize: All participating players will receive a Kiora, Master of the Depths Avatar. Product: Magic Online will provide 6 Battle for Zendikar booster packs and 1 Battle for Zendikar Prerelease premium rare or mythic. Duration: 20 minutes deck-building time. Four rounds, each round up to 50 minutes. 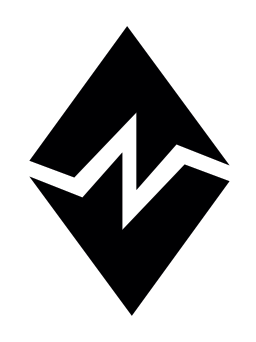 Participation Prize: All participating players will receive a Gideon, Ally of Zendikar Avatar. Duration: 5 minutes deck-building time. Three rounds, each round up to 50 minutes. Product: 3 Battle for Zendikar booster packs—Magic Online will provide boosters for the Top 8 Draft. Duration: 10 minutes deck-building time. Three rounds, each round up to 50 minutes, followed by a Top 8 Draft. Note: If any event fails to fill the minimum number of seats by the start time, the event start will wait until the minimum number of players to join is met. After the waiting period ends, if the event has still not begun, refunds will be issued immediately and the event will be cancelled. Product: 6 Battle for Zendikar booster packs—Magic Online will provide boosters for the Top 8 Draft. Duration: 20 minutes deck-building time. A number of rounds determined by attendance, each round up to 50 minutes, followed by a Top 8 Single-Elimination Draft. Note: If any event fails to fill the minimum number of seats by the start time, the event start will wait until the minimum number of players to join is met. After the waiting period ends if the event has still not begun, refunds will be issued immediately and the event will be cancelled.